Whether you brighten up your home with photos of your family, or works of art, the chances are those pictures have a few things in common -- they don’t move, they don’t change, and you probably never really notice them much now either. Joto’s creators want to change that. 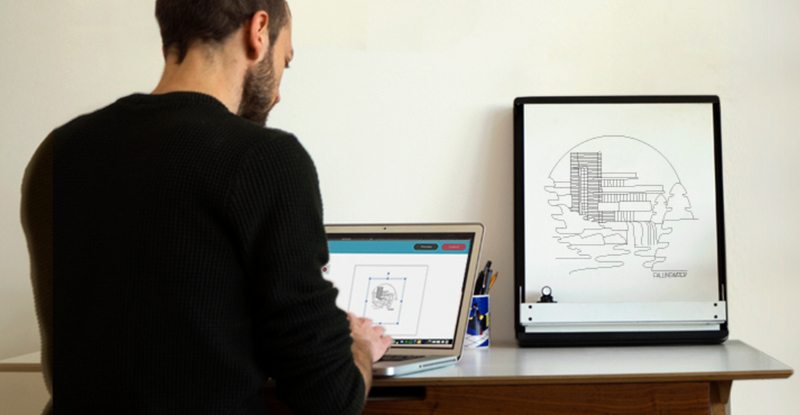 Joto is a robotic whiteboard -- described as a modern day 'etch-a-sketch'. It's controlled via an app and draws with a pen, live on request, everything from works of art to personal messages. Jim Rhodes, founder of Joto, explains "Most of the content we love is stuck on our screens, and as a result so are we. We are reimagining a world, where people can feel connected beyond the screen. This is an exciting first step in the exploration of creative robotics for the home. Not the type to be scared of, but the sort you’d love to put on your wall." Joto was first launched via a Kickstarter campaign in early 2017. It raised over £362,000 -- smashing its original target of £100,000 -- and selling over 1,800 units in just four weeks (Joto costs from £199, plus shipping). It will soon be made available to consumers in the UK via an exclusive partnership with Selfridges. 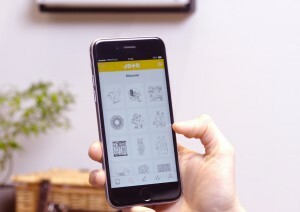 Having done so well with their first foray into crowdfunding, Joto’s creators are now seeking outside investment in the business via a Crowdcube crowdfunding campaign. The company, Those Ltd., is looking to raise £250,000, with a ~12 percent equity stake offered to investors, in order to make it possible for Joto to break into more channels and regions. It's also looking to further develop the software that drives the robotic sketch-artist, and add integration with popular third-party tools, such as Twitter, Slack, Google Calendar and Alexa. The latest campaign has already raised 25 percent of its goal, with 28 days still to go. You can see Joto in action below. If you’re interested in finding out more, or helping to fund Joto's future, you can visit the crowdfunding page at Crowdcube.